Hello everyone! 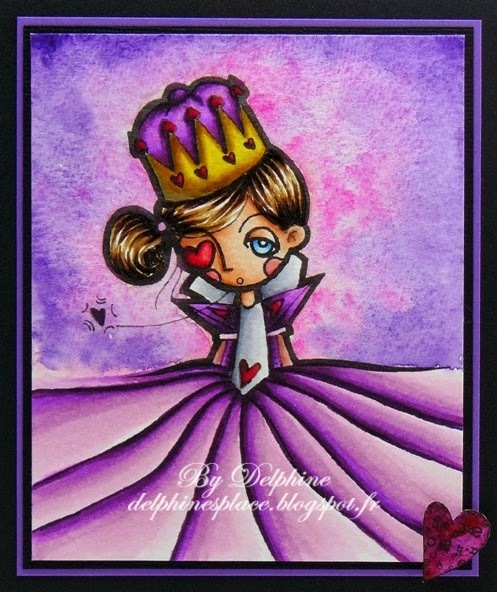 It's Delphine here today, very honoured and excited to share my first Shaky A. card! 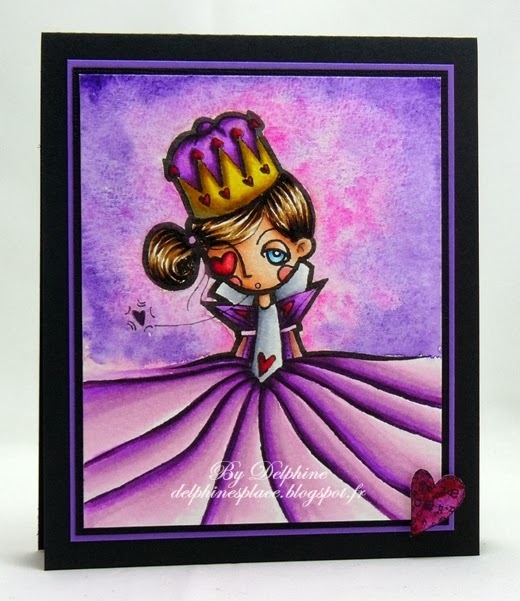 I have used a gorgeous image I totally fell in love with at first sight - Queen Of Hearts! The background is watercoloured and my Queen Of Hearts is coloured with Copics. I added a little heart from a Tiddly Inks set, watercoloured too. You can find all Alberto's digi stamps HERE at Whimsy Stamps! Thank you very much for your visit, enjoy the rest of your day!